Just a few hours northwest of New York City lies Ithaca, a hotbed of hippie values, gorgeous scenery, and pretty amazing food. Trendy? Nope. It's always been that way. Here's what to do on a three-day trip. ITHACA, NY – Mostly known for three signature institutions — , , and the — adages about the town mix some degree of humorous cliché with a healthy amount of self-deprecating accuracy. It's described as "centrally isolated" and "ten square miles surrounded by reality," as well as the slogan most widely disseminated on T-shirts and bumper stickers: Ithaca is GORGES. True, it's not the most geographically accessible destination. The counter-culture and progressive political climate established in the 1960s still thrives at the southern end of Cayuga Lake, a put-your-money-where-your-mouth-is ethic that includes its own currency (Yes, really. They're called "Ithaca hours.") and recently elected mayor, Svante Myrick, a fresh-faced, 25-year-old Cornell grad. And dramatic, glacially formed gorges do indeed shape the town's physical makeup and create incredible natural landmarks. 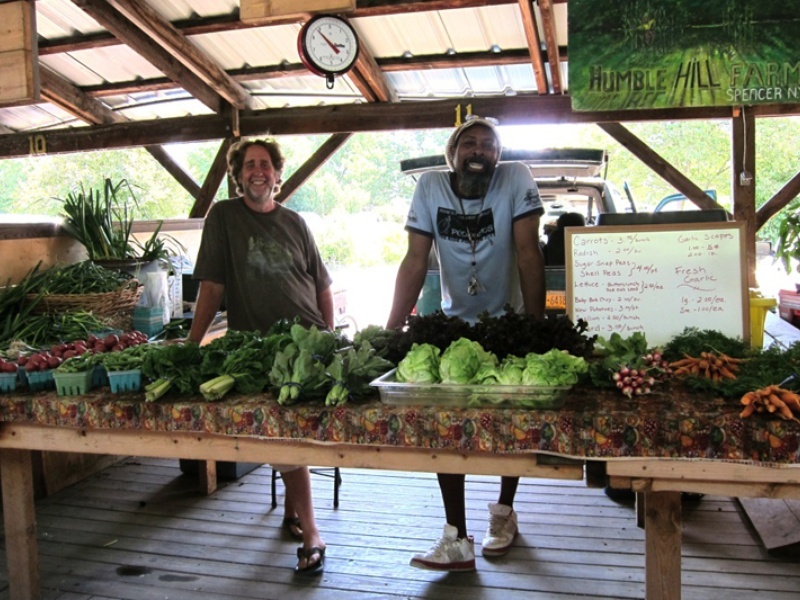 But while the mainstream has been getting up to speed on the virtues of vegetarian diets, small-scale organic farming, and sustainable food production, these elements have been part of what's attracted people to the town and its environs for decades. With Finger Lakes wine country just a short drive away, food and wine culture in this part of central New York is booming. The first time I learned of Ithaca was from my distant cousin, a member of the Moosewood collective who came to visit us in L.A. in the early '80s. My mother owned the original Moosewood Cookbook (written by Mollie Katzen, who left the original group in an acrimonious split), and, like any devout vegetarian family in the '70s and '80s, its influence was inescapable in our household. But the Moosewood remained placeless until I started visiting the city regularly with my husband, Henry, a native Ithacan whose family roots at Cornell and Ithaca run deep. The water's fine at Treman. Our visit this summer was the best yet, partially a result of our two young boys being better able to enjoy the perks of having grandparents in a quirky town with phenomenal natural beauty. While not spending time with friends and family, we were busy taking advantage of the warm weather to explore the naturally occurring waterfalls and swimming holes at treasures such as and state parks, and . Ithaca hosts various performing arts events around this time of year, too, including the and the season. As an architecture enthusiast, I'd be remiss if I didn't mention the prestigious and beautiful university on the hill. Ithaca might be modest in its overall character, but it does boast buildings designed by the likes of I.M. Pei, Richard Meier, and most recently, Rem Koolhaas scattered around the Cornell campus. The scene at Ithaca Farmers Market. The (which takes place in a permanent open-frame wood structure on the waterfront during weekends) is synonymous with the town's food and craft culture, and is strictly an April through December affair. The modest scale of the growers who sell their goods means you might not be able to get, say, strawberries and blueberries on the same weekend. That's a good thing. 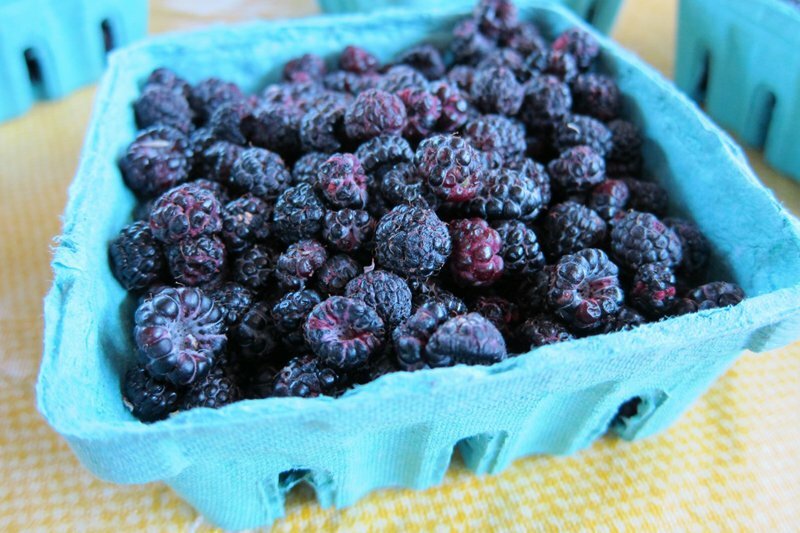 The diminutively sized and intensely flavored black raspberries we ate on a bench facing the lake were unlike any fruit I'd had from our familiar markets. Other treats such as cider donuts and maple cotton candy — in combination with seeing young families arriving via canoe and ducklings dutifully wading out with their mothers — made for a market outing nonpareil. I even tucked some garlic scapes, which were heaped on vendors' stalls weeks after they made their brief appearance in Southern California, into my carryon bag to bring home. What's on your plate at The Piggery. Thanks to the success of , which embraces dual concerns for responsibly sourcing its ingredients with a commitment to high-quality finished products, Ithaca might very well have the highest per-capita rate of excellent coffee available to its population of approximately 30,000, a number that jumps significantly when school is in session. The greater area of Tompkins County is home to slightly over 100,000 inhabitants. While Starbucks is one of the rare corporate food and beverage interests to have a presence downtown, it's Gimme! that's the bigger player in these neck of the woods. With a broad slate of do-gooder commitments, Gimme! is how Ithaca likes its chain stores. It currently operates four locations around the region and has expanded to New York City. 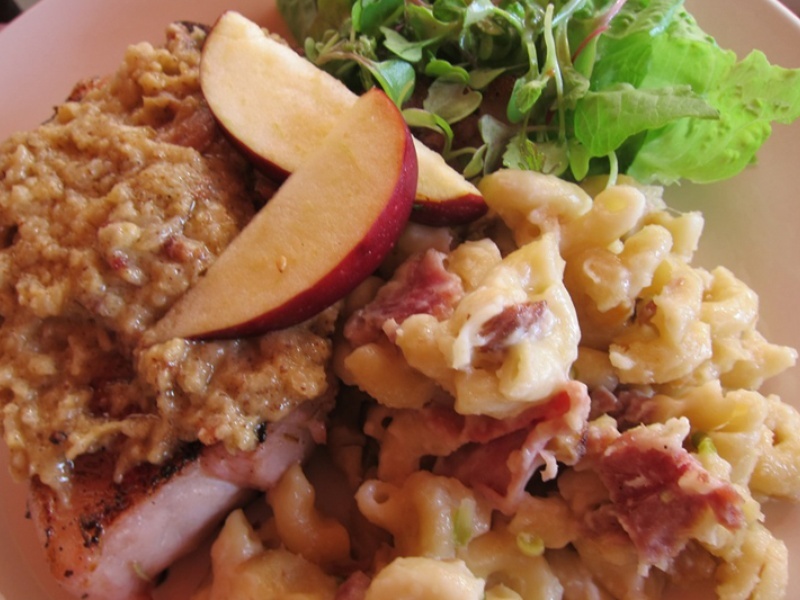 Ithaca has had access to terrific ingredients, but what about the cooking? (Ironically, Cornell is known for its Agricultural Sciences and Food Sciences programs, which aren't always simpatico with the goals of the Moosewood contingent.) Because Tompkins County has its share of economic struggles and Cornell is the largest employer, Ithaca is to a large extent a company town. Albeit one in which the big earners are more likely to be MacArthur Foundation grant recipients and other prize-winning brainiacs (Carl Sagan, for example, was a longtime resident) rather than titans of industry. In other words, it's not an affluently flashy city, as a drive around the beloved yet hardly pristine historic downtown and surrounding rural districts reveals. Businesses also look forward to the upswings that bookend the academic year. But high quality is year-round. Purveyors dedicated to pasture-raised, antibiotic and hormone-free products are becoming more popular. But at The Piggery you can cut into a brined chop ringed with velvety fat and slathered with apple and onion duxelle, or bite into the best pulled pork sandwich arguably this side of North Carolina, all using heritage breed animals humanely raised at The Piggery's own farm in nearby Trumansburg. A valuable addition to the restaurant scene with similar values is , located in the Fall Creek neighborhood. 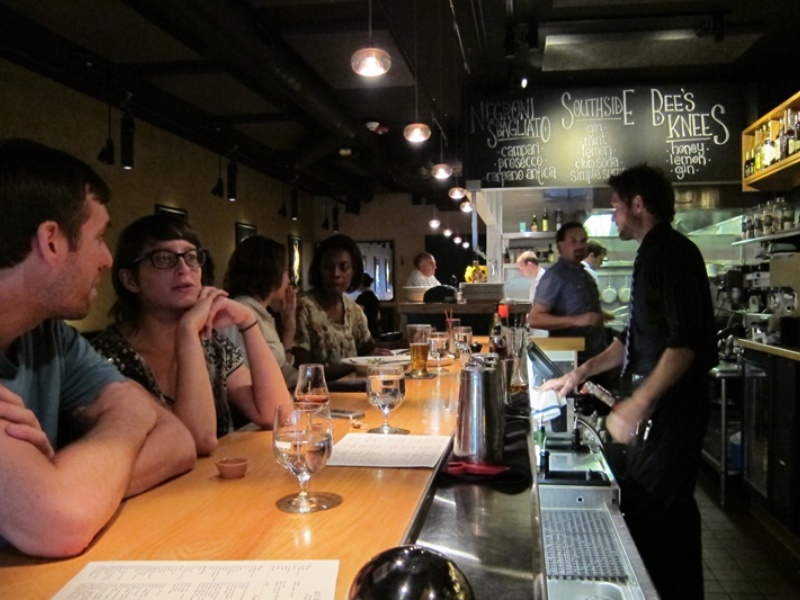 An extensive craft beer and wine list, along with a full hard liquor and cocktail selection, accompanies an accessible menu with hearty vegetarian options and meaty entrees that on average hover just over the ten-dollar price point. A couple days later we had top-notch craft cocktails, complete with a single hulking cube of crystal clear ice — a telltale sign of a bar that's serious about mixology — at located on sidewalk café packed Aurora Street (weather permitting, naturally), just around the corner from the , the city's outdoor pedestrian mall. Another must-stop is ice cream at nostalgic favorite , where the cross-collaboration with Gimme! for the mocha fudge flavor yields stellar results. 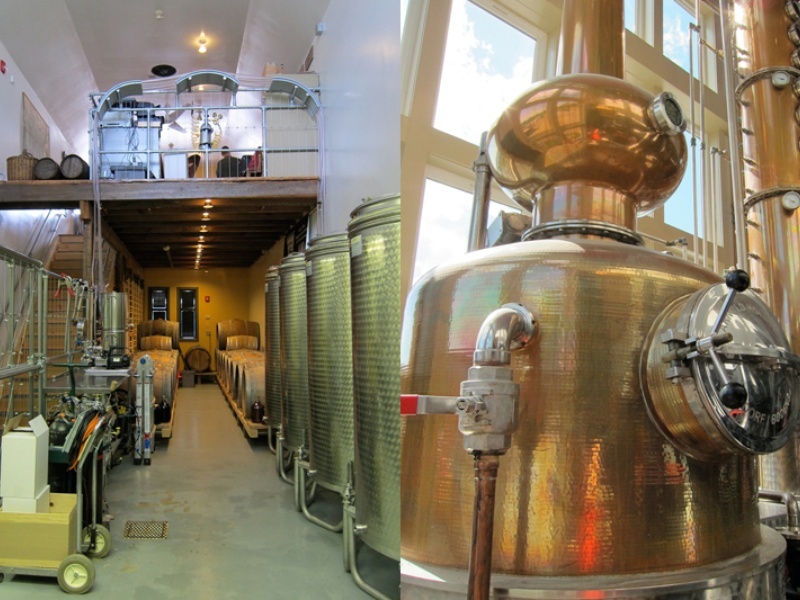 Finger Lakes Distilling and Ports of New York. And then there's all the wine. 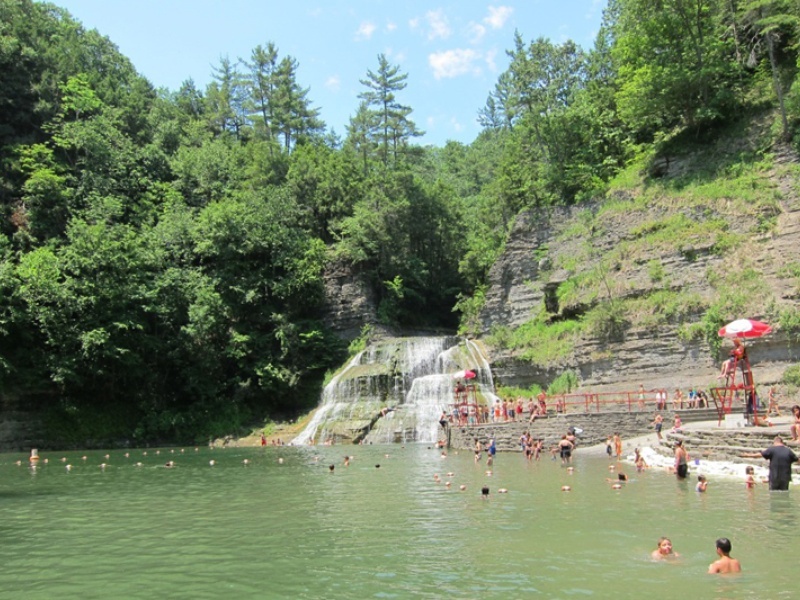 is an ideal day trip from Ithaca, with plenty of routes to chose from. Dr. Konstantin Frank planted the area's first viniferous vines fifty years ago, an act of boldness that created an unlikely industry. Many Finger Lakes wines are unremarkable, while others, such as the widely lauded , , and , have brought us back repeatedly, and new promising enterprises keep cropping up. An extensive pinot noir barrel tasting with Tom Higgins at left my husband bursting with newfound pride for the region's winemaking accomplishments. After a scenic loop from Cayuga to Seneca Lake that took us through Seneca Falls, this boosterism grew unfettered with a stop at . Brian McKenzie, an Elmira, NY native, and Thomas Earl McKenzie, a southerner (no relation), use a stunning German-made custom still to craft a range of spirits using locally produced raw materials. Back in Ithaca, in a charming narrow rehabilitated vernacular structure that we randomly came upon while driving through a less picturesque industrial district, Frédéric Bouché, originally from France, purchases brandy from the McKenzies to make the fortified wines he bottles under his label. Country living. Photo: Courtesy of The William Henry Miller Inn. 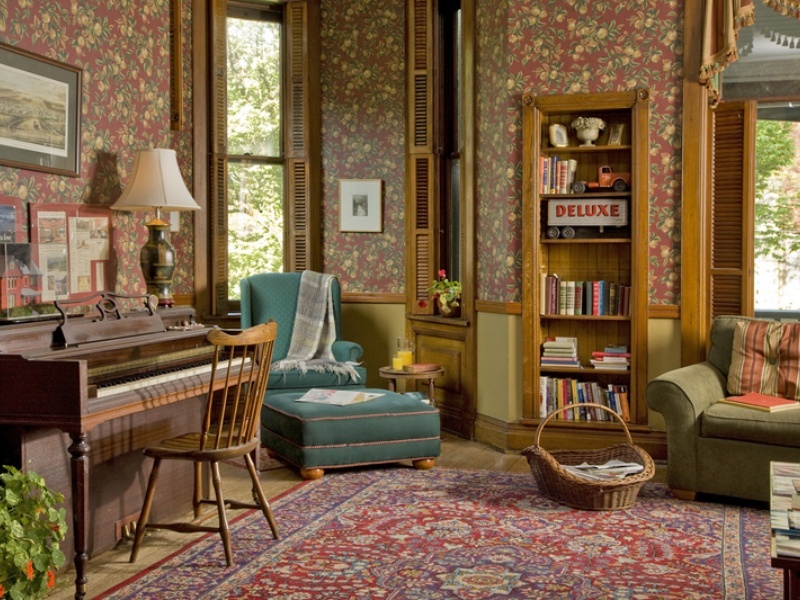 is a charming B&B located in an historic 19th-century house located downtown but conveniently near Cornell and the College Hill area. on campus is affiliated with the Cornell School of Hotel Administration, so the students who comprise a portion of the staff are very motivated to ensure guests are pleased. A perfectly utilitarian, if relatively generic, option is the smack downtown, just a block from the Moosewood, the Ithaca Commons and other points of interest. Ithaca is about a four-and-a-half hour drive from New York City. There is a small regional airport, but flights often fall victim to the whims of the harsh winter. Fortunately, there's another option: is about a one-hour drive, and is connected to other hubs along the eastern seaboard and the Midwest. If you have a particular fondness for ice and cold, then Ithaca can be beautiful in the winter. But let's be honest: Ithaca and the Finger Lakes is much more pleasant and fun in the summer when average temps are somewhere around 80. (This past June was much hotter, however.) A drop dead gorgeous fall season inevitably follows.